After three consecutive Top 5 albums, White Lies have announced that they will release their fourth album ‘Friends’ on October 7th. The first release under a new deal with BMG, ‘Friends’ follows their #1 debut album ‘To Lose My Life…’ (2009) as well as ‘Ritual’ (#3, 2011) and ‘Big TV’ (#4, 2013). 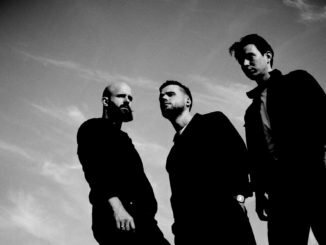 With ‘Friends’, White Lies haven’t so much abandoned their trademark synth-rock sound as given it a spring clean by exploring new sounds. For many reasons, it felt like a fresh start. The trio were temporarily without a label after a bout of record company reorganisation. Rather than re-sign straight away, they decided to start ‘Friends’ under their own steam without the pressure of a deadline or a budget, or even the guidance of a producer. Whatever sound each song suggested, White Lies went with it. Hence, when ‘Hold Back Your Love’ and ‘Is My Love Enough’ sparkled with disco grooves, they embraced it. 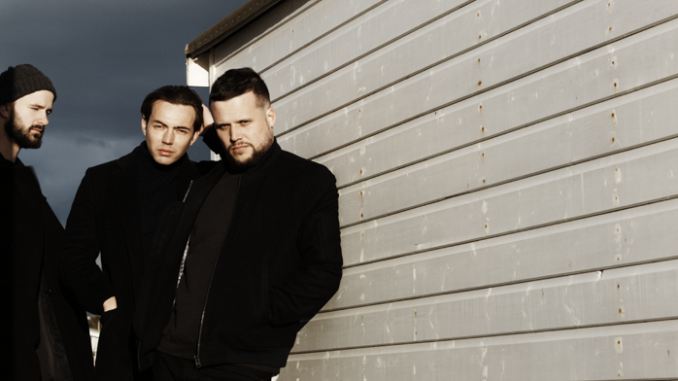 When the beautiful ballad ‘Don’t Fall’ jettisoned their signature sound entirely, leaving only frontman Harry McVeigh’s sumptuous, sonorous vocals to connect it to White Lies of old, they stuck with it. Similarly, when the triumphant ‘Summer Didn’t Change A Thing’ harked back to the arena-ready rock of their debut, they didn’t mind. The changing nature of relationships is a recurring theme throughout the album. ‘Friends’ has been launched with the brand new single ‘Take It Out On Me’ which is available below and impacts on August 12th. It’s a track which started as an experiment in which Cave aimed to write a chorus using just numbers. ‘Friends’ was recorded in Bryan Ferry’s private studio in London’s Olympia and was self-produced by the band. White Lies enlisted the help of an expert team including Grammy Award-winning engineer James Brown (Foo Fighters, Arctic Monkeys), David Wrench (Caribou, FKA twigs) on mixing duties and long-term collaborator Ed Buller who contributed additional production. 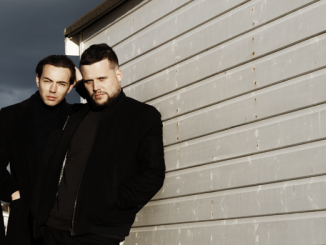 White Lies – completed by drummer Jack Brown – can also announce details of an extensive UK and European tour which stretches from late September through to the start of December. 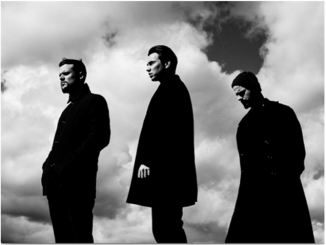 It includes a major homecoming show at London’s O2 Shepherd’s Bush Empire on November 22nd.